There have never been more indoor ways for kids to play. But it’s important to get the kids out of the house whenever the weather allows. So set aside the phones, tablets, consoles and TVs and let’s get outside! The garden can be an amazing source of play, with a few simple, creative additions. Here are 10 of the best play area ideas that will turn your garden from boring to brilliant. The whole garden can be a play area! 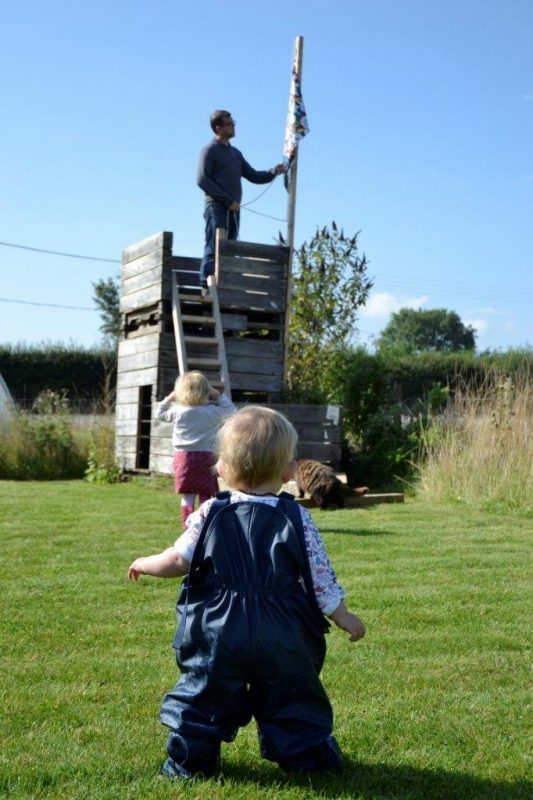 When you’re thinking about creating play areas, start at the beginning and make sure that your children know that they can have fun in the garden itself! If it feels like their kingdom too, then the whole garden becomes their play area. Take your kids outside with you when you garden. Keep tasks light, and give them their own mini watering cans, rakes, and trowels. They can pitch in with you or just make mud pies with the dirt you dislodge when you weed. Give them a little patch of their own to develop an interest in the garden. Help them grow things like pumpkins that they can then carve at Halloween. Or build a little kingdom with them for their toys to play in; planting leafy plants to create jungle settings, or dig a mini moat and build a mud castle. And for those without green thumbs: one of the best things you can do is leave them plenty of lawn. Just mow it every now and again and suddenly that unassuming patch of green is a world-class football pitch or the Wild West waiting to be galloped across. A playhouse can be anything they want it to be. A playhouse is a great place to play. The clue’s in the name! And the best bit? It keeps the fun going year-round, especially if you pop in a little space heater in the colder months. But the best aspect is versatility. 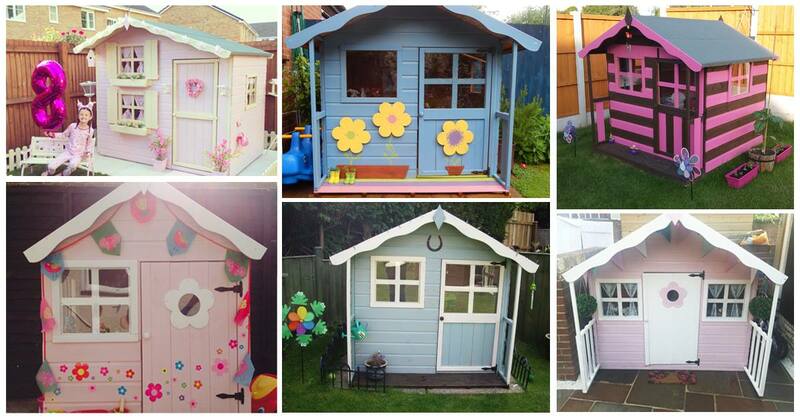 A playhouse or summerhouse can be anything children want it to be. One day it’s a mad science laboratory, the next it’s a rocket ship or a teddy bear beauty parlour. Kids’ imaginations are boundless, but you can give them a boost with a few cunning decorating tips. Blogger You Baby Me Mummy recommends simple additions, like hanging up bunting, laying on a few coats of paint and adding some cuddly, soft cushions to really bring it to life. Her top tip? Paint an inside wall with blackboard paint. Then the playhouse becomes a tiny studio for an up-and-coming little artist! 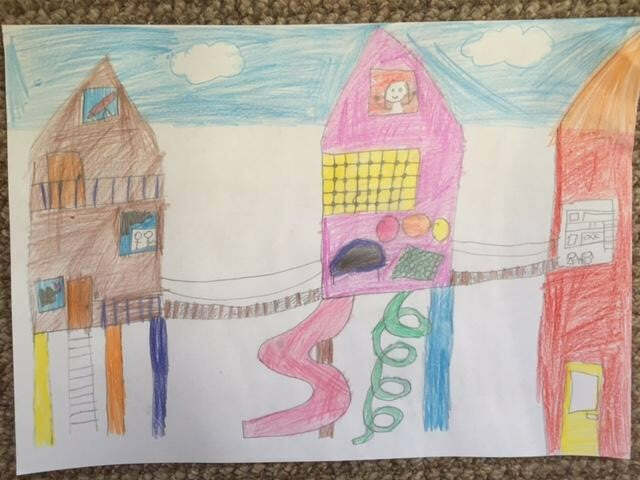 Blogger Skint Dad’s daughter wants nothing more than a treehouse. And who could blame her? There’s nothing better than a super secret, no-parents-allowed hideout in the trees. But even if there’s not the budget for a project on that scale, small additions can ramp up the cool factor exponentially. A pirate flag turns your child’s hideout into the bird’s nest of a pirate ship. Or a homemade banner with the name of their treehouse hanging above the door, claims it for all to see. But for those without mature trees in their gardens, don’t despair! Tower houses are a great alternative. The pinnacle of pirate hideaways! For little tree-less pirates, there’s another alternative to the treehouse bird’s nest and that’s the themed hideaway. Some have the luck to have fantastical purpose-built pirate ships, equipped with towering masts and furled sails. Others can fly their pirate colours above the door of their playhouse with jaunty red and black balloons or a home-made flag. But whatever you do, remember to get them an eye patch and a stripy t-shirt. Then just raise the jolly roger and let them loose on the “high seas”. Back on dry land - why not build a sand pit? Easy to assemble, you can buy pre-cut sandboxes that just require a little bit of elbow grease when you get back home. Or you could get creative and repurpose an old rowing boat for a seaside or pirate-themed pit! Head to a DIY store to stock up on a couple bags of special play sand (it’s a finer grade, making it much better for kids to play in). And get the little ones to help fill it when the time comes. It’s like a sand waterfall! Just make sure yours has a lid, or canopy that can cover the sand at night. You don’t want the neighbourhood cats considering it their own private litter box. Play areas created out of willow are fun and magical. Plus, they look beautiful in the garden. They’re also a cost-effective, natural way to create a play area, which is great for you. And they feel like a real wild “den”, which is amazing for them. The best time to plant willow is between December and February, making this the perfect outdoor family activity during the winter months. Before you know it, spring will roll around bringing with it fresh green leaves and your own homemade willow den. Want some tips? The Little Trekkers have a easy-to-follow step-by-step guide to help you create your own willow den from willow whips, garden string and a bit of effort. Any garden can be a magical, “enchanting” place with a few small additions. For another taste of the “wild” in your play area, pick a corner of your garden and create a miniature wildflower meadow. It’s great for local wildlife (hello, butterflies!) and the environment, for aesthetics, and for playing games in the “Enchanted Forest”. You can splurge on some wooden toadstools for the full fairy effect. Or for a low-cost alternative, turn a few wooden tables into “fairy toadstools” with the help of some red and white paint. For extra magic in your enchanted garden, add a string or two of solar powered lights and some sheer, gauzy bunting. Forts can be temporary ones made from blankets or more… fortified. You can make a fort that goes up and comes down within the space of a few hours; ideal for making the most of a sunny summer’s day. Gather the family, and all the boxes and blankets you can find together and see what you can create! But you can also make a fort that’s built to last. The Middle-Sized Garden says that they made one from old commercial wooden apple bins that they bought, stacked and secured. All it took was a “bit of elbow grease” and it was good to go! 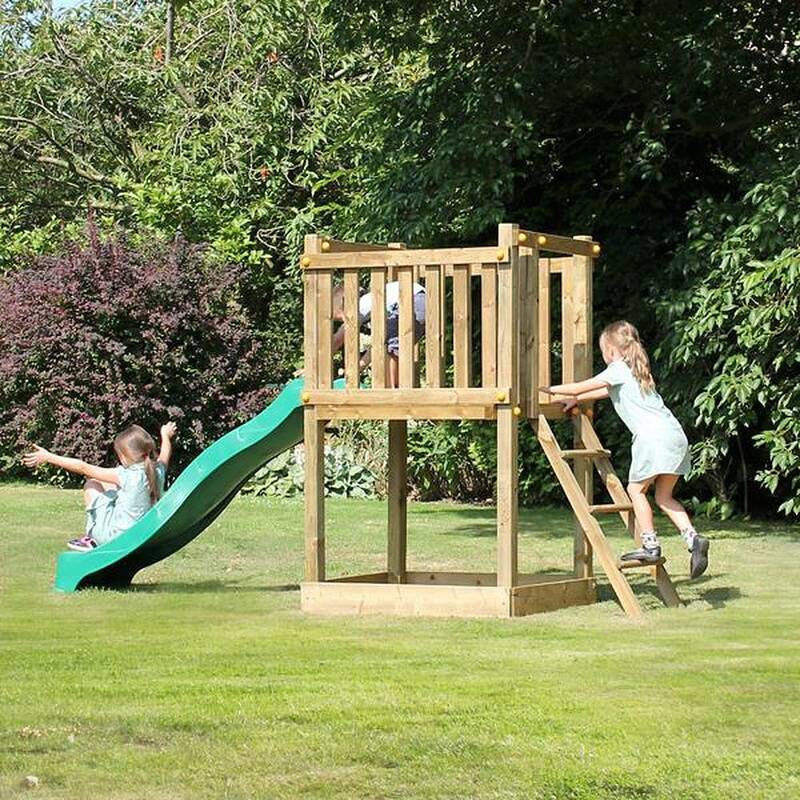 Bring all the fun of the playground into your own garden with a swing set, slide and seesaw. If your playground is a permanent fixture, consider investing in play-grade bark chippings for the floor around the equipment. It’s much kinder to little knees in case of accidental landings. You’ll need to make sure that it’s about 4 inches deep so it’s extra springy and safe. And how about a trampoline? For added safety, you can invest in a net that goes around it, or simply sink the trampoline into the ground so they’re bouncing at ground level. That way, even more reckless bouncers risk fewer injuries! Keep an eye out for fun additions to your play areas at car boot sales and markets. There are lots of other ways to have fun and create play areas in your garden. Hang a tyre on a mature tree for a swing. Write numbers in chalk on your paving slabs for a game of hopscotch. Maybe even plant some scented herbs to create a “sensory garden”. Another top tip: Collect odd bits of little furniture from charity shops and car boot sales. These can be spruced up and brightened with the use of paint and popped in the playhouse. Or you can use them to create a “mud kitchen” where your children can create all manner of dirt masterpieces. Or just keep on hand for the next impromptu teddy bear’s picnic. And if you’ve got a bit of extra gravel knocking around, use it to make a miniature construction site! Just mark a small circle with a few rocks from the garden, fill it with gravel, add the toys, et voila! What better place to spend time with your children? 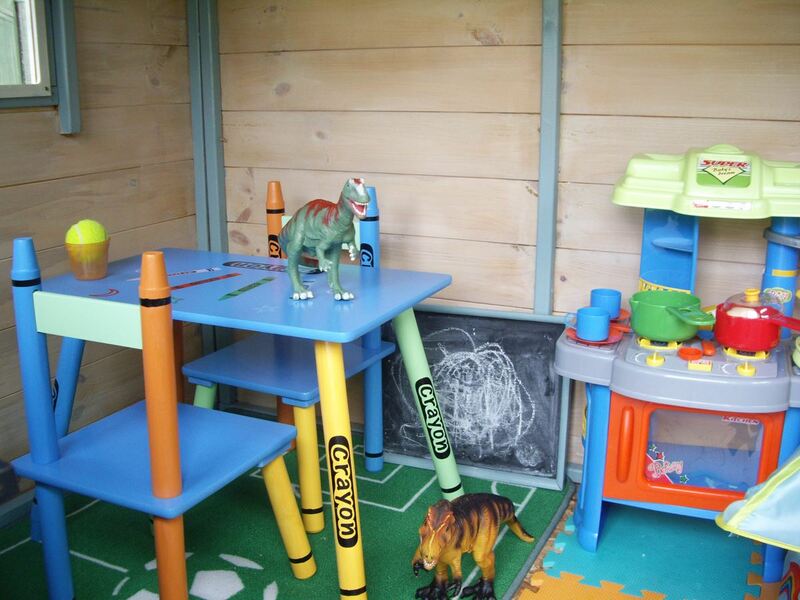 What amazing play area ideas do you have for your kids? Share your thoughts and pictures on our Facebook page!